A couple of weeks ago I styled a vintage inspired photoshoot with my lovely friend, Sade. We traveled along the California coast being inspired by the landscape. You might remember the backstage photos from this post: Behind the Scenes, AV Fashion Editorial. I am so excited to share the full editorial with you on AV soon! But for now, here is a little sampling of vintage inspired loveliness. This shoot was so fun! I even got to try my hand at hair styling! I wanted to do really soft romantic hairstyles, yay, so very happy with the photos!!! I hope you love them as much as I do! love the pin-up bun hairstyle! The photos are ameizing ! These photos are beautiful. The beach was the perfect setting. So beautiful. 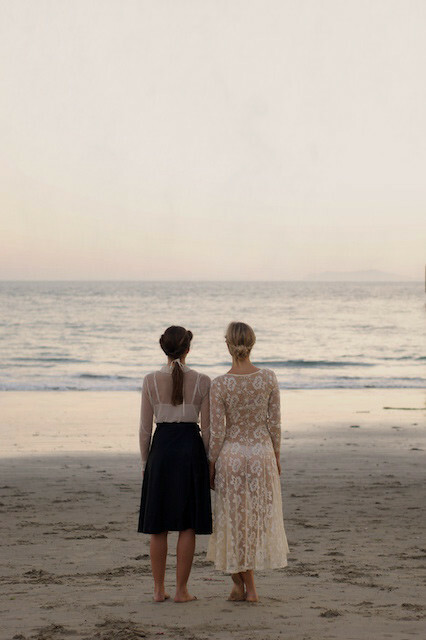 They make me want to run around by the sea in a gorgeous dress.